I’ve said this many times before: the driving force behind my career has been to increase the level of transparency and participation in the process of journalism. That driving force has taken my career in all kinds of fun and exciting directions and today I’d like to announce a new one. This year I’ll be working with UC Berkeley’s journalism school. Specifically I will be working with the schools’ three hyperlocal sites (MissionLocal.org, OaklandNorth.net and RichmondConfidential.com) to come up with new products for their website. Some of these products might be editorial or service related – but the main thrust will be to experiment with new business products. Before haters eagerly call Spot.Us a failure let me type this reassuring paragraph and get back to the lede. Spot.Us has enough money in the bank to give us a runway of at least one year – possibly more (August was our first break-even month!). That includes salary for myself and our C.T.O. Erik Sundelof in addition to any money we would raise for reporters. In fact, Spot.Us is in PERFECT position to scale up and that’s exactly what we are working on. I will remain an active part of Spot.Us and in the coming weeks we should have some exciting news which will cement it as an ongoing business (elevated from a mere experiment) for at least another two years. So Spot.Us is doing business as usual right now and soon might be doing even more of it! But back to the point: As an entrepreneur and somebody who likes to push boundaries (see first sentence) I felt like it was time to get my hands dirty with something new. There were certain experiments I couldn’t try with Spot.Us which, rightfully so, cornered itself into the non-advertising, nonprofit world. Some of these experiments are ambitious, some are quick and light, others are yet to be thought of – but I’m sure will be fun. The hyperlocal sites at Berkeley already have a lot of traction. In fact, they don’t get enough credit for what they’ve accomplished. These are real world sites run by students but they’ve become integral to their communities. I am eager to jump into their fertile ground for product experiments that could educate both the individuals involved (students and myself) and the larger journalism industry. As always you can expect to learn about our success and failures on this blog and The Local Report, a blog set up to capture lessons from Berkeley’s hyperlocal sites. I am also excited about the opportunity to have a positive impact on the curriculum at UC Berkeley’s J-school. The program already has amazing journalism professors and the students come out as superb digital storytellers. But storytelling doesn’t exist in a vacuum. A rounded journalism education should take into account the ecosystem of the web, the know-how of participatory media (including social media) and an appreciation of entrepreneurial skills. That’s what I hope to rub off into the program. 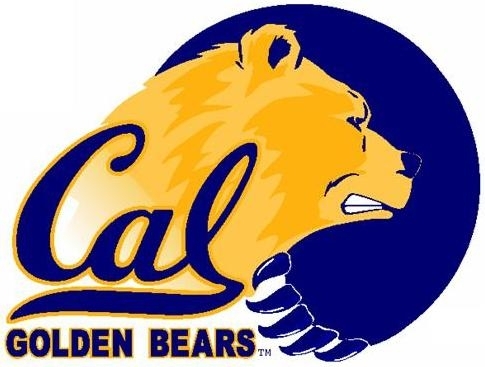 Combine all this with my own sense of Cal-Alumni pride (undergraduate class of 2004) and you can see why I’m terribly excited to begin working at Berkeley. Expect to hear more about this and Spot.Us as things move forward. If you aren’t familiar with the journalism program at UC Berkeley or their hyperlocals, the video below will give a small introduction. Note that this video was from their launch in 2008. Since then the sites have continued to grow – publishing year round. Again those three sites are: MissionLocal.org, RichmondConfidential.com and OaklandNorth.Net. Got ideas for Berkeley’s hyperlocal sites to try? – LET ME KNOW! Hey, congrats on the move. Smart of Berkeley to grab you. Can’t wait to see what you do with the hyperlocals. Congrats, Dave! Looking forward to reading/seeing more. This is perfect!! If you want to partner up with a class at Mizzou, count me in! I can’t wait to follow your new adventure! Congrats on the job. I’ll echo everyone else and say that I’m looking forward to hearing about how things go. I followed a link here that said there was exciting news about you. I thought it had to do with the rumor I heard yesterday that you had appeared clean-shaven in public! All – thanks for the kind words. @Conley – you made me laugh out loud. There were TWO things of note yesterday – you brought attention to the second. Stay tuned for the Spot.Us news (a few weeks, maybe more) and of course – hopefully some exciting stuff to happen at Berkeley. Congrats on the new gig! I look forward to seeing what you accomplish there. Best of luck to you!